The stylish and cool hi-tech wearable is the in thing these days and techie freaks out there keep looking for smart options be it wearable or the accessories. I am not talking about the accessories that come with the hi-tech watches of today. By accessories I mean the extra products that one got to buy to charge, place, protect and make it look more stylish. We have handpicked few such cool accessories that we believe are must checkout and go for to enhance the user-experience and enjoy being the owner of the Apple smart watch. We were being specific in picking the accessories and making them the part of the list. All these best Apple Watch accessories are already winning the hearts of millions of people out there. Sneak a peek into all these best Apple Watch accessories and select the accessory of your choice. 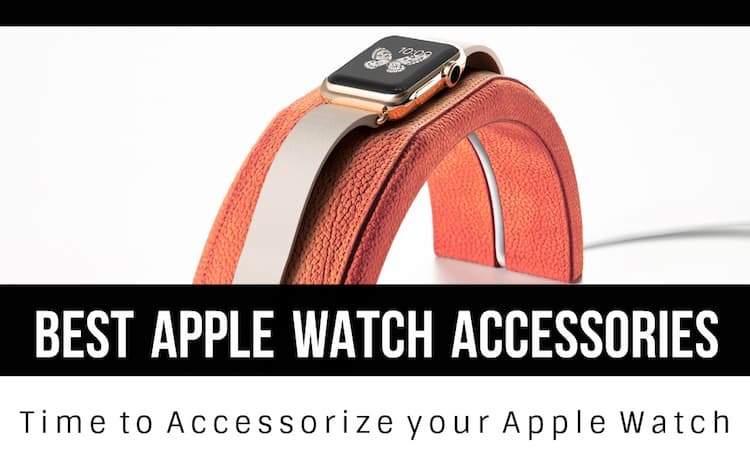 We have included the links of all the Apple Watch accessories so that you can buy them directly if you like any of these. Here is a matte graphite Silicone and aluminum dock from Native Union. Looks stylish, isn’t it? 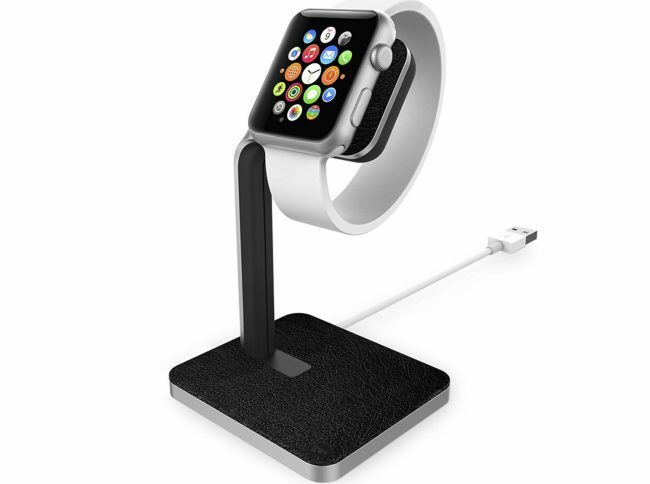 The dock comes with a circular peg to let you hang your Apple Watch on. The square is 72mm and it is 65mm across with the peg that makes it a bit heavy at 750g. However, if the looks appeal you, go in for it and shell $35 for the same. You can buy this bamboo docking station for mere $13.99. Besides being visually appealing, this bamboo docking station comes with some well-placed grooves and hollows. 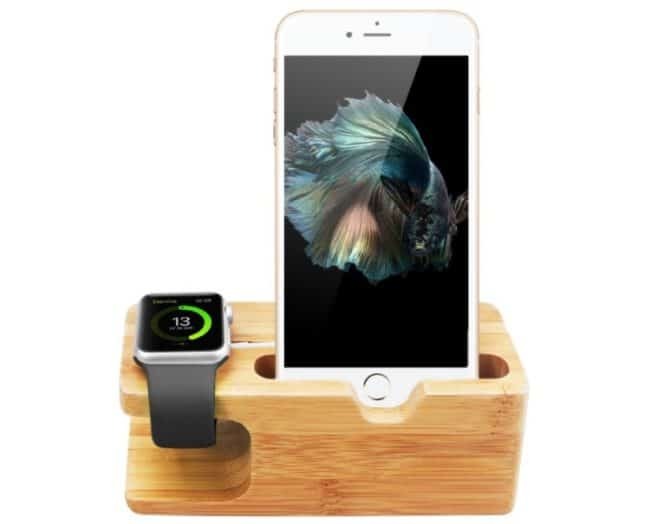 Take home this stand for your Apple Watch and your iPhone and make them sit elegantly. The best part is that there are there’s a special groove for the Apple Watch cable and the lightning cable comes through a hole given at the back. For some $18, you get this nice watch with cool features like the ability to charge Apple watch and iPhone or other USB device simultaneously. 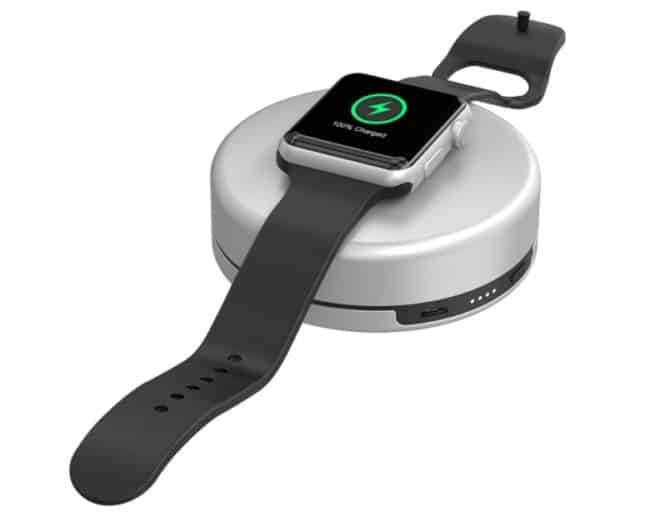 The watch easily hides away Apple Watch charging cables, built-in 2,600mAh lithium battery, plush fabric inner lining, LED lights to show charging status and many more. For some $13, you can get ZAGG invisible shield with HD clarity. 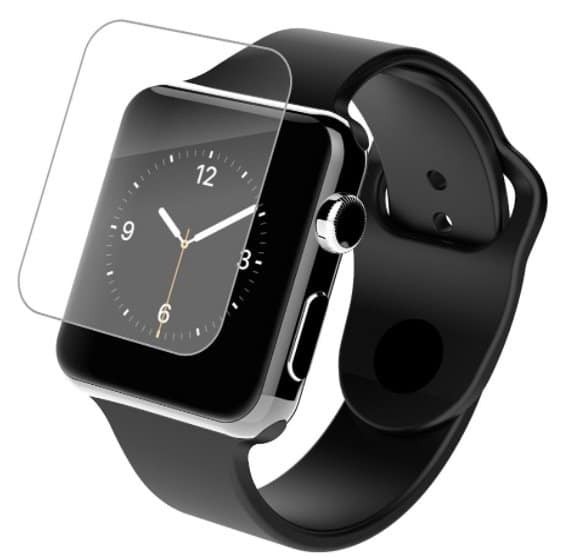 It’s a premium screen protection for Apple Watch that will protect your wearable from getting scratches. With the ability to self-heal it can make the minor scratches fade away. Mophie dock is a minimalist design that hides your charging cable. It’s stable because of solid aluminum frame and the leather accents look elegant. Slot your own cable in but it’s fairly easy to set up. It’ll cost you $45. 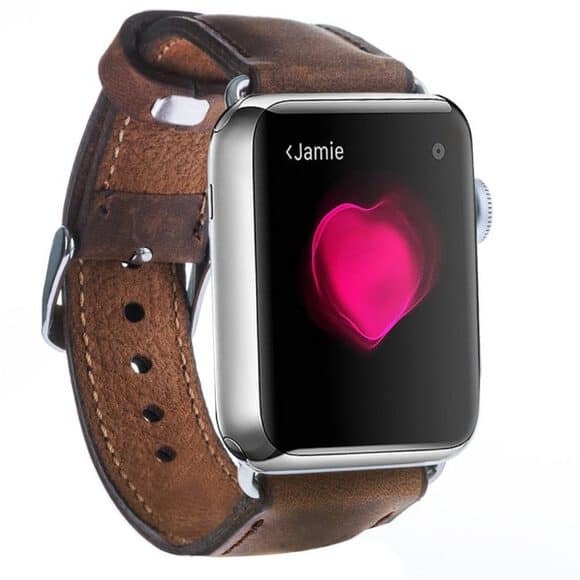 This is one wearable from Apple that will cost you $63. The classy looking watch with soft, genuine leather straps for the Apple Watch is indeed a fashion thing. The antique coffee finish with the classic buckle, clasp for your chosen size all speak out loud for its style. These Casetify watch straps will give a facelift to your Apple watch. Confused which strap to go for or want to customize your strap? There is an app for Android or iOS that makes it easy for you to design a strap with your own photos. The straps will cost you $70. Nomad Pod for Apple watch comes with the price tag of $50+. This is a portable pod that is designed this easy to carry in your pocket. Yes, its that small! It measures 75mm by 25mm and weighs around 80g. Upto four full charges are available as it comes with 1,800mAh lithium polymer battery. There’s a power button with a four LED display, a Micro USB port on the side to charge it and stylist looks that add to the beauty of the unit. It’ll be difficult for you to make your pick from the amazing range of bands available for Apple Watch. Want to go for sports bands? They will cost you just $50 and are available in various colors. 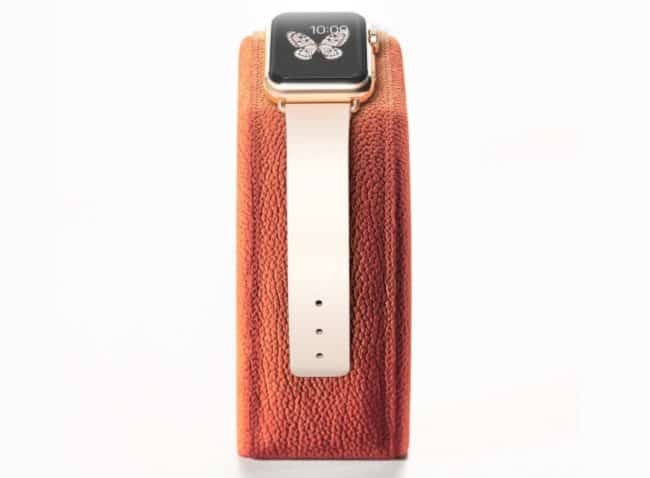 Metal Milanese loop, the leather loop or leather with a classic buckle will cost you $150. There are more options that are a bit pricey, but worth going for. The modern buckle with leather will cost you $250 and for a metal link bracelet, you’ll have to shell $450. Buy this Apple watch magnetic charging cable for $30. It helps in charging your Apple watch effortlessly. The cable combines MagSafe technology with inductive charging. It’s a completely sealed system that is totally free of exposed contacts. Simply hold the connector near the back of the watch, where magnets cause it to snap into place automatically. Its as simple as that! You get this dock and case for $60. Protect your Apple watch in a simple and elegant way. Charge it and travel with it. 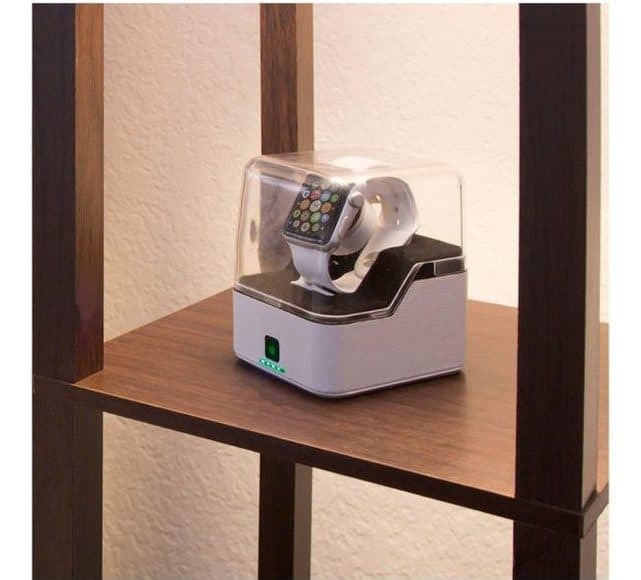 Its a simple cool and docking case that will protect and charge your watch in style. The Calypso Timeless Moment will cost you $150. Trying to figure out what is it? Well, its you stylish arch that promises to hold your Apple watch in style and complement your home interiors. Stretched or closed, the Calypso timeless moment is here to ensure safe holding of your watch. The Apple Watch accessories if I keep adding will make me go on and I’ll keep adding them. However, I’ll stop for now and leave the rest to you. 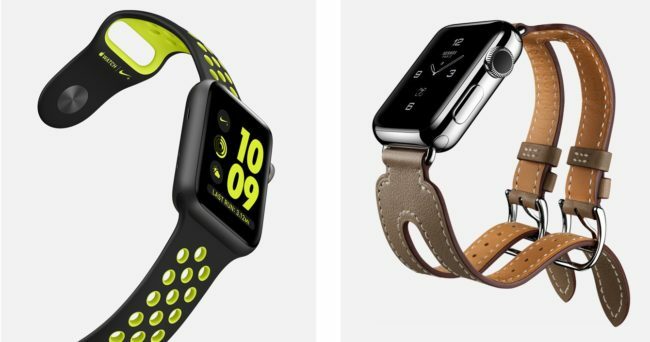 Do let us know which of these best Apple Watch accessories you liked the most. 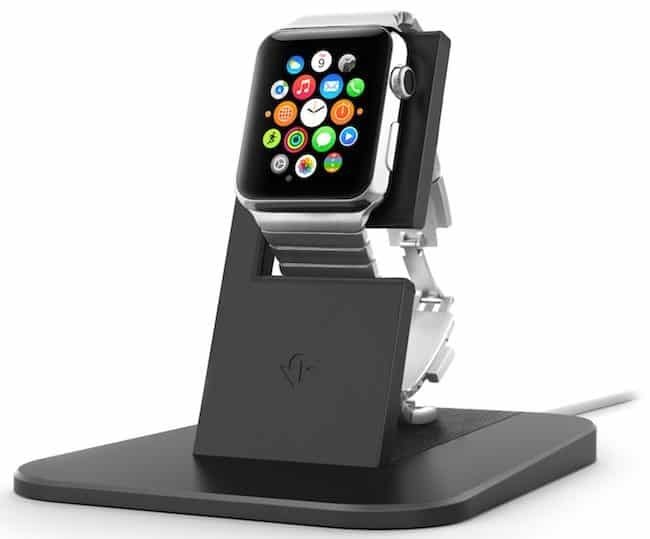 FYI – The first image you have under the Native Union dock copy is actually a stand from Twelve South (the HiRise for Apple Watch). You may want to update this.